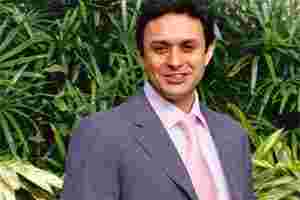 Investment rules: Ness Wadia says the government should not deny foreign airlines an opportunity to invest in Indian carriers. Mumbai: India last week relaxed investment norms in retail, allowing 100% foreign direct investment (FDI) in single-brand retail and 51% in multi-brand retail, albeit with riders. Alongside this, the department of industrial policy and promotion recommended that overseas airlines beallowed to acquire a stakeof up to 26% in domestic carriers. The Wadia Group owns the low-cost carrier GoAir, run by Go Airlines (India) Pvt. Ltd. Wadia favours foreign airlines investing in Indian carriers, which, he says, may post a combined loss of more than Rs10,000 crore this fiscal year. Edited excerpts from an interview. What is your take on FDI in retail? Do you foresee fierce competition for kirana stores? I think it will benefit the growth of our country. We need to fuel growth as it will help to tackle serious issues such as inflation and unemployment. FDI in retail will only fuel GDP (gross domestic product) growth. FDI in retail is critical as it brings growth in infrastructure, which helps the growth of the nation. This in not in just our group’s perspective, but overall FDI in retail will benefit consumers as it will offer a larger choice, better quality of products and a more efficient delivery mechanism amidst more competition. Retail will not die in India. Kirana stores will benefit from a better back end, logistics, and better accessibility to purchase their goods of sale, thus allowing them to have newer revenue streams. FDI in retail will help to grow even smaller businesses as it will help them offer more choice and, therefore, grow their income. FDI has to happen across the board, including retail and aviation. The biggest challenge for us in India is to maintain GDP growth of 8% or greater, reduce inflation, and ensure a greater supply of jobs. If we want to project India as a serious destination for international investment, we must create a conducive environment. If not, our growth as a nation will be hindered. In the past, the Wadia Group has had discussions with Carrefour SA and global firms for various retail ventures in India. Will you restart the talks? Yes, we had discussions in the past with Carrefour and others for different retail ventures. The group has been involved in the growth story of India for over 200 years and will continue to be so. How is the group perceiving FDI in retail? Will there be a change in the business model to complement the post-FDI regime, as 50% of the investment is expected to be in the back end? We continue to aim to provide the best possible value to our customers and will consider opportunities as they present themselves. FDI will help improve the back end, logistics, and, therefore, the final delivery to the consumer. What will be the fate of kirana stores? Kirana stores are unique in nature and will continue to be. They offer the consumer several hundred products on their doorstep at almost anytime. Kirana shops will benefit from the wide range of products that FDI in retail will bring, be it in a rural town, semi-urban or urbanized India. Kirana stores understand the habit, trends and behaviour of the consumer very well. I have no doubt that kirana stores will become even more competitive. They will offer more choice and can, therefore, get a higher premium. FDI will bring a greater benefit to all. The government is talking about allowing foreign airlines to invest in Indian carriers? Will GoAir be open to divesting stake to a foreign airline? Indian carriers are going to post a combined loss of approximately Rs10,000 crore-plus this fiscal. The entire industry is suffering due to the high jet fuel cost and other infrastructural issues. Instead of fuelling growth, this hampers the growth of the industry. One should not forget, aviation is one of the industries thatalso helped bring peopletogether by connecting cities and, therefore, helped inthe growth of commerce and our economy. Twenty years ago, there was only Air India. Now there are a lot of private carriers in the Indian skies that are offering more jobs, cheaper air fares, and a far better commuting time for the consumer. The current government policy on FDI in airlines is, in my view, contrary to the government’s goal of trying to achieve a higher GDP growth. It is illogical to allow investment up to 49% in airlines in all forms, barring another airline. What is the logic of denying foreign carriers the opportunity to invest in their own sector while all other sectors are (allowed)? The government should not deny foreign airlines an opportunity to invest in Indian carriers, since if you are present in a sector, you understand the sector better and, therefore, would naturally look at organic or inorganic growth in that sector before looking at other sectors. This is but natural, and airlines do definitely understand their business better than non-airline companies or investors. Therefore, I fail to understand the logic of the current government policy on FDI in airlines. How does the government expect this industry to continuously grow if it does not remove the various shackles that are clear impediments to the growth of this industry and, therefore, the economy of our country? GoAir is a 100% privately held company and it is too early to comment on divesting stake.